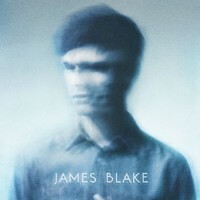 James Blake, is an English electronic music producer and singer-songwriter from London. He is also known as Harmonimix when releasing remixes. His eponymous debut album was released in the United Kingdom in 2011 and nominated for the Mercury Music Prize for that year. His second studio album Overgrown won the Mercury Prize in 2013. Blake received his first Grammy nomination at the 56th Annual Grammy Awards for Best New Artist.